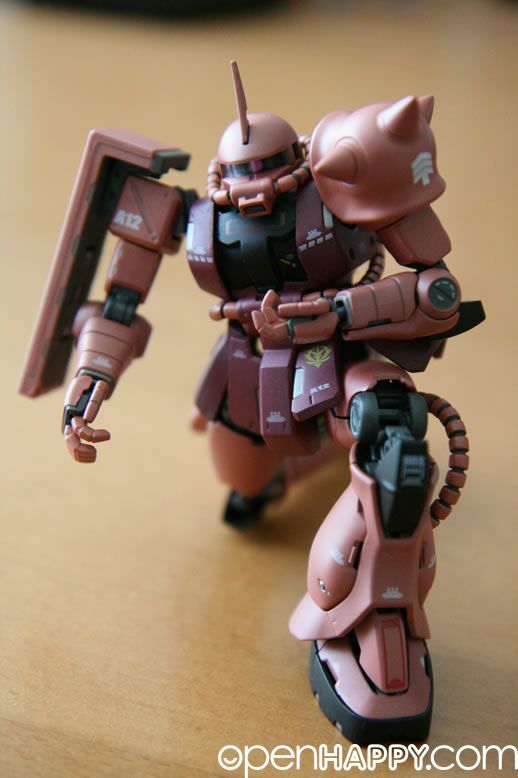 Bandai's Super HCM Pro series features action figures of your favorite mobile suits in 1/144 scale with enhanced mobility and individually articulated fingers, unbelievable detailing, fun playable gimmicks, custom markings, and weapons and accessories galore! 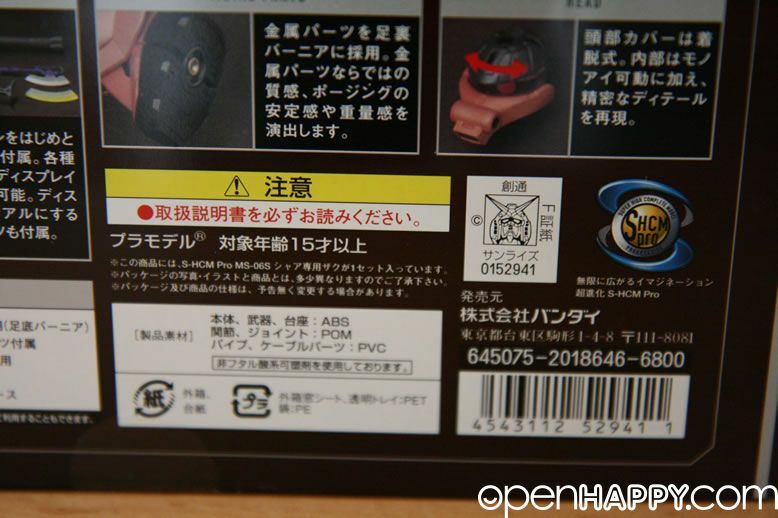 Here is the descripton from HLJ. 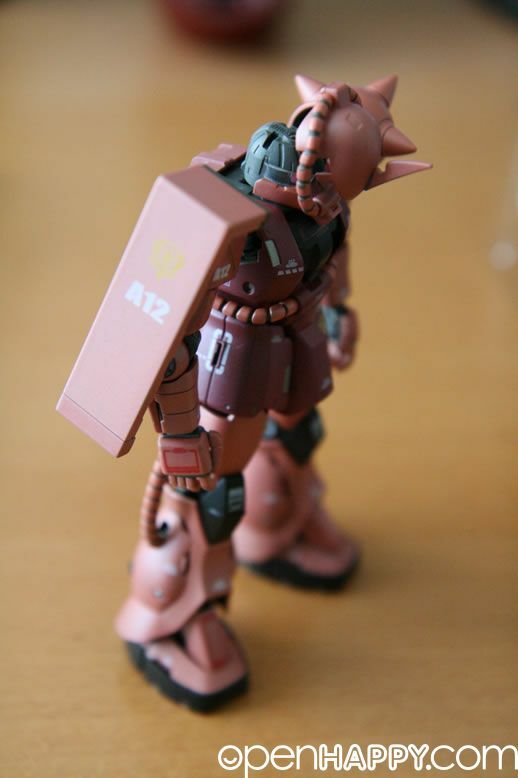 The Red Comet's iconic mobile suit is represented as this 12.5cm action figure with intricate mechanical detailing beneath its armor covers and backpack. 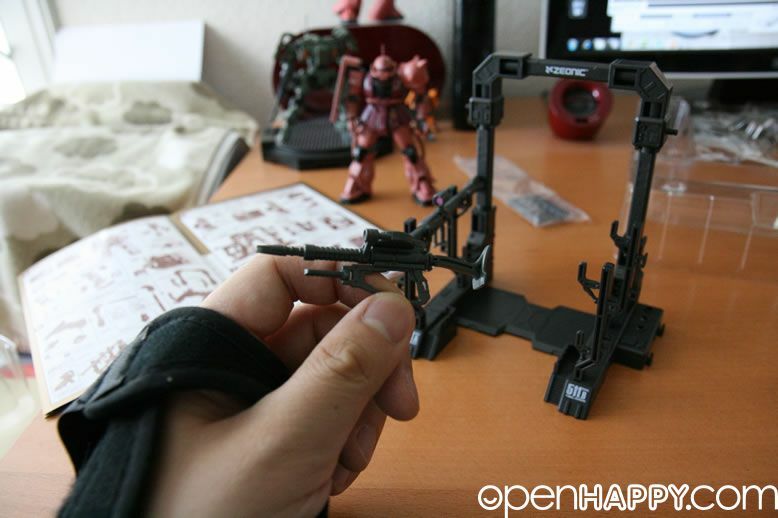 Its hyper-articulated joints can hold almost any dynamic poses you can think of! 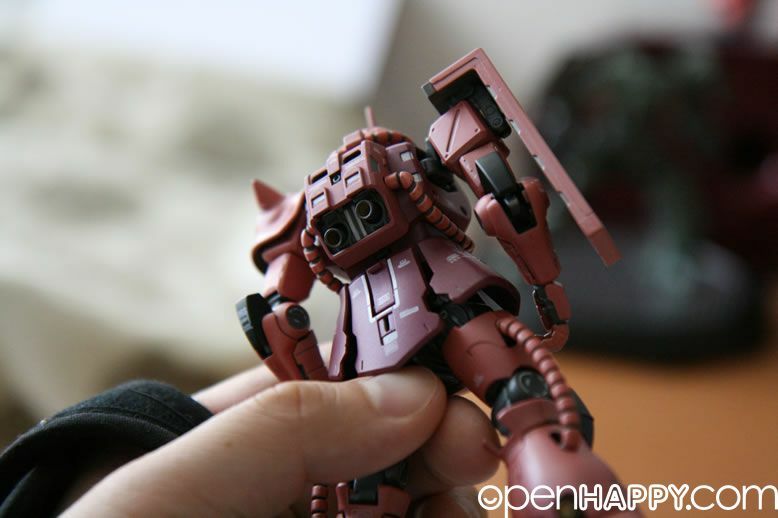 Metal parts are used for the verniers on the soles of its feet. 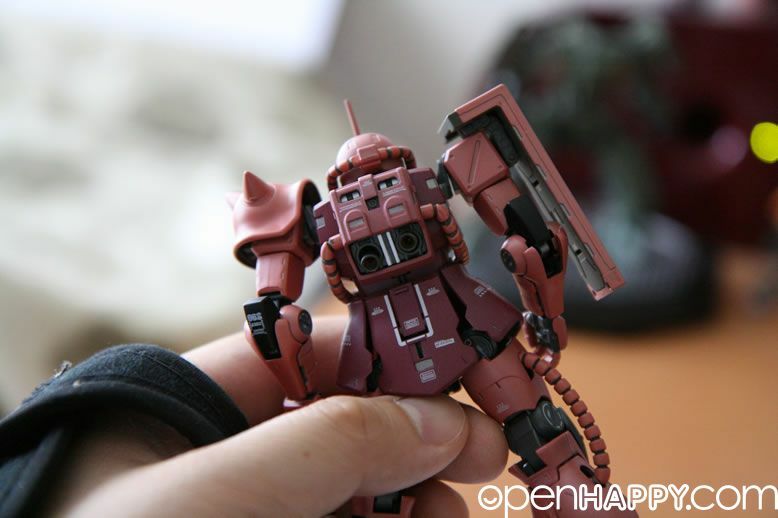 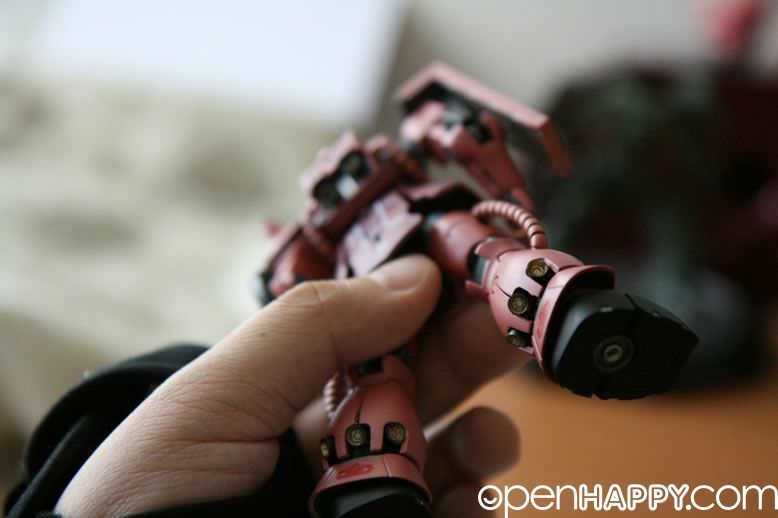 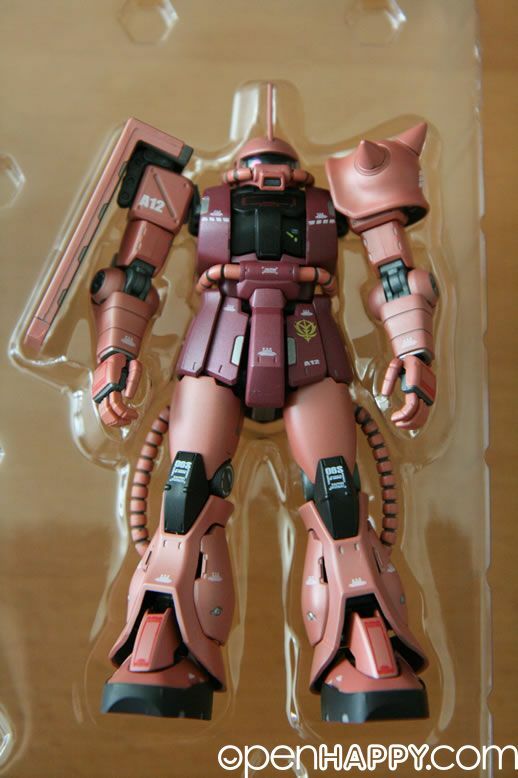 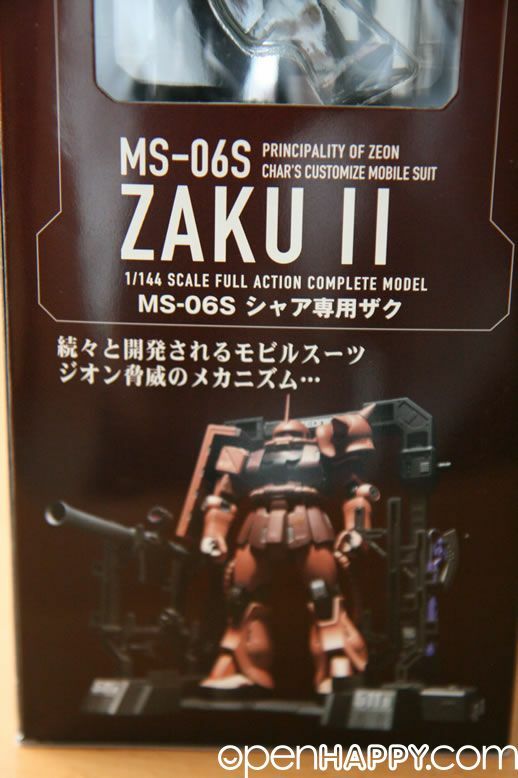 Its weapons and accessories include a Zaku machine gun, Zaku bazooka, heat hawk with a clear yellow part to simulate a lighted heat hawk, and a custom display base that can also store all the weapons and Char's Zaku II itself too, set with cables as though it is receiving maintenance. 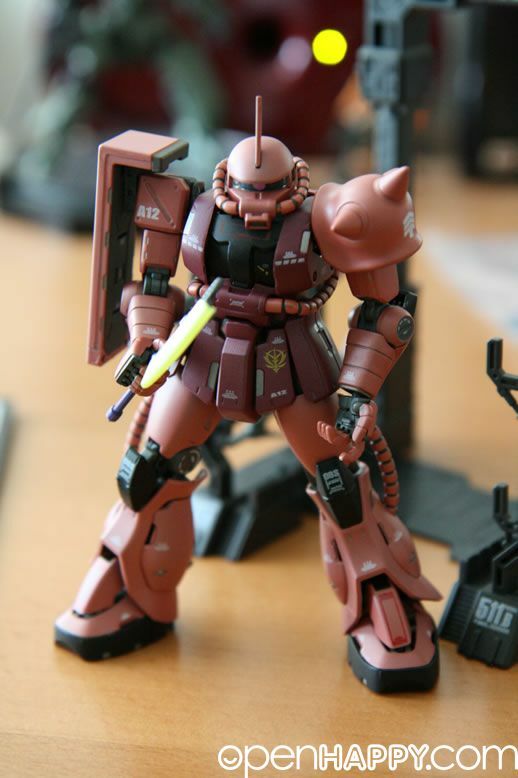 Ultra detailed, well-articulated, nicely finished, and accessorized--this figure has it all! 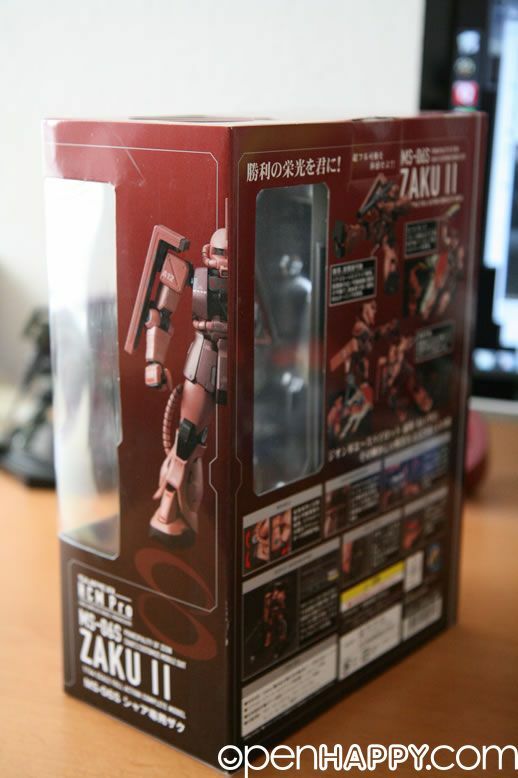 During my recovery of my broken wrist, this is one of the first toys I unbox just to cheer me up. 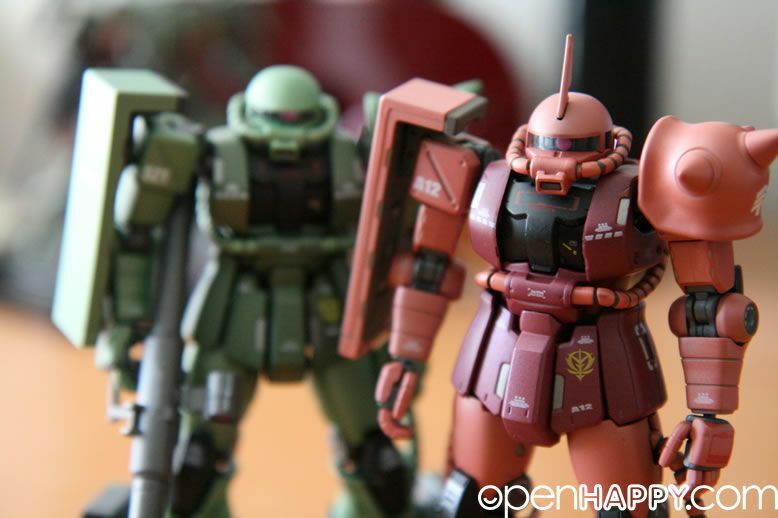 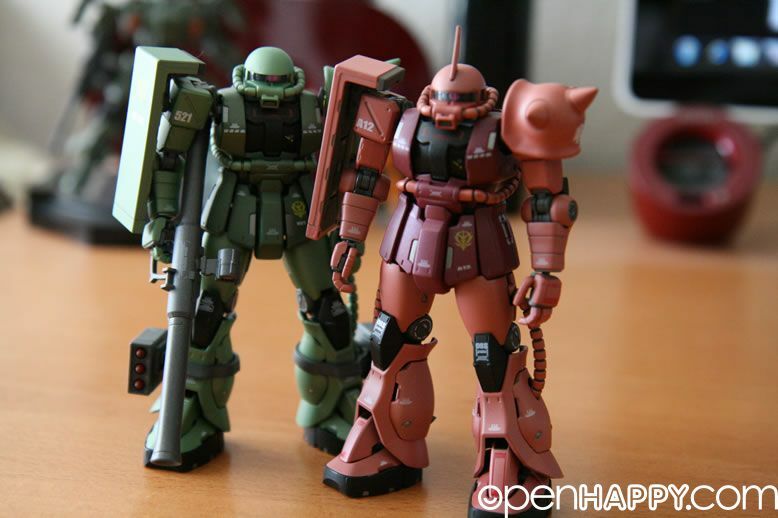 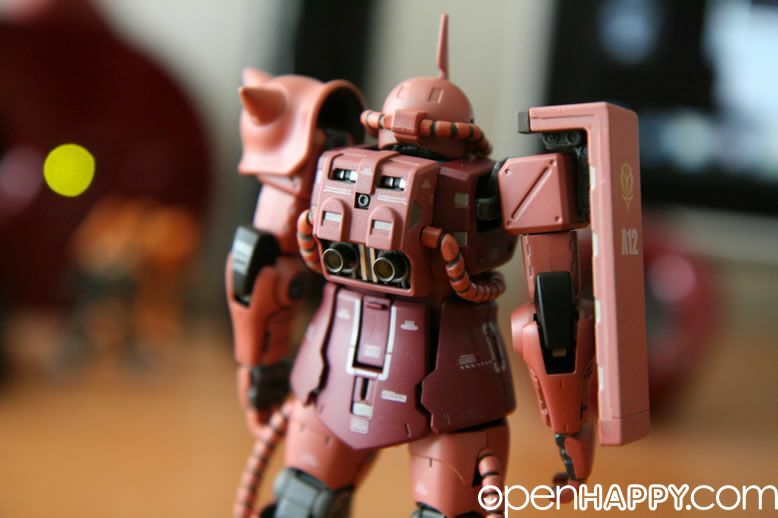 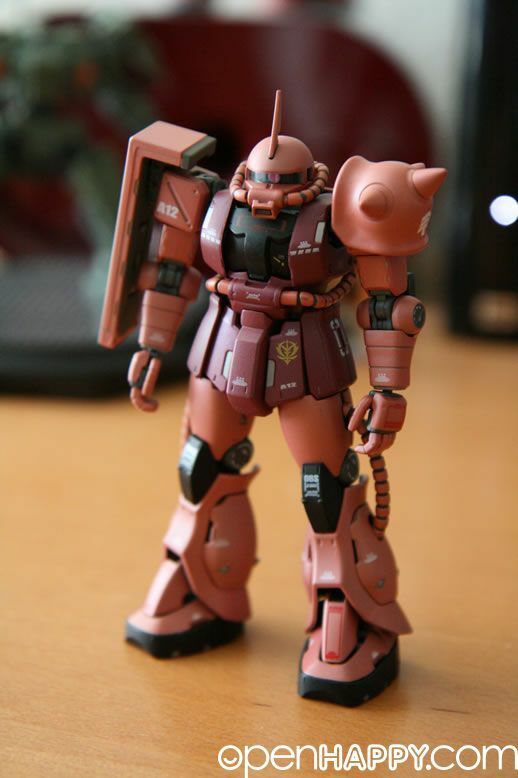 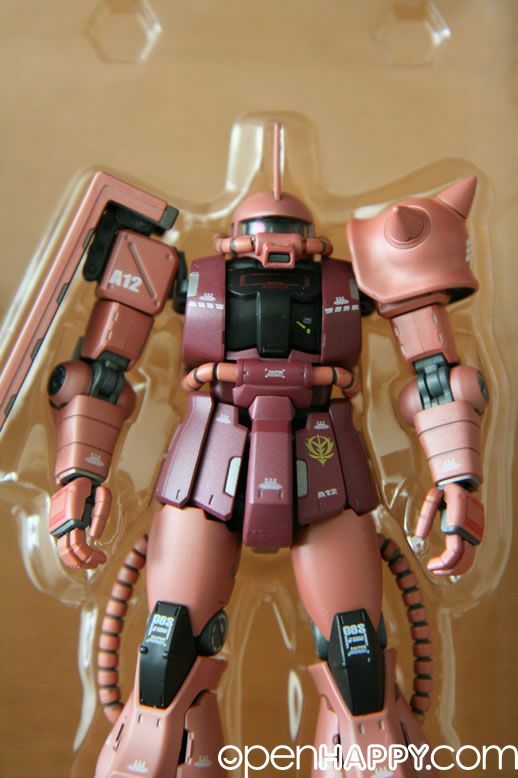 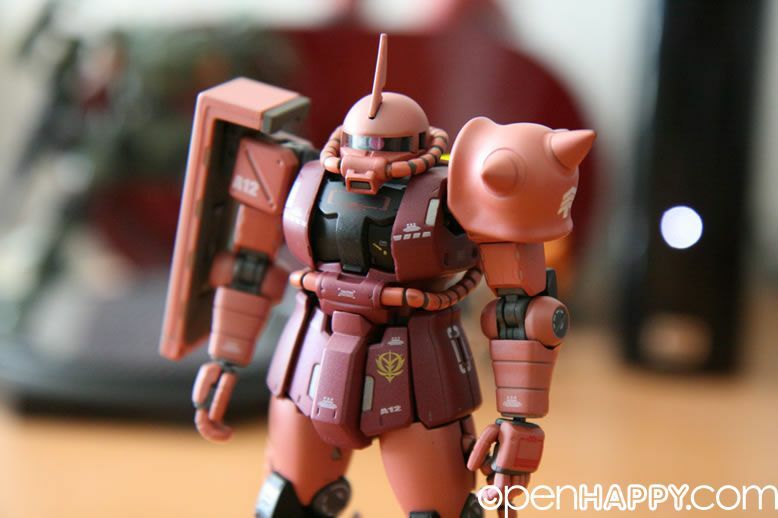 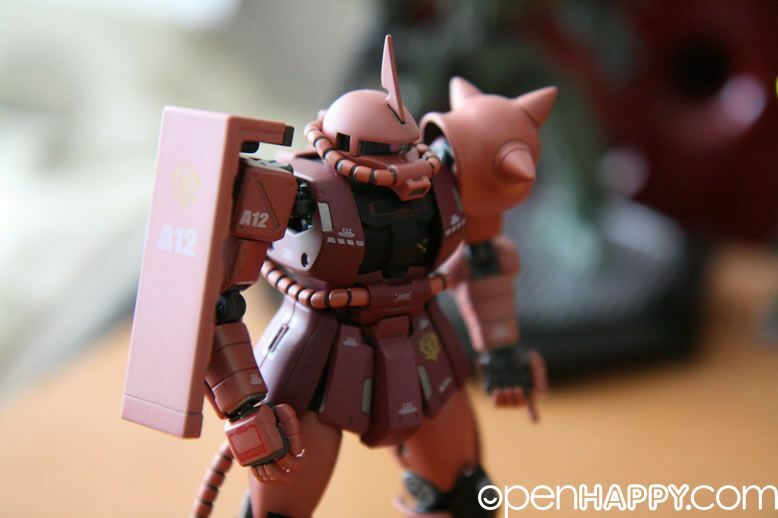 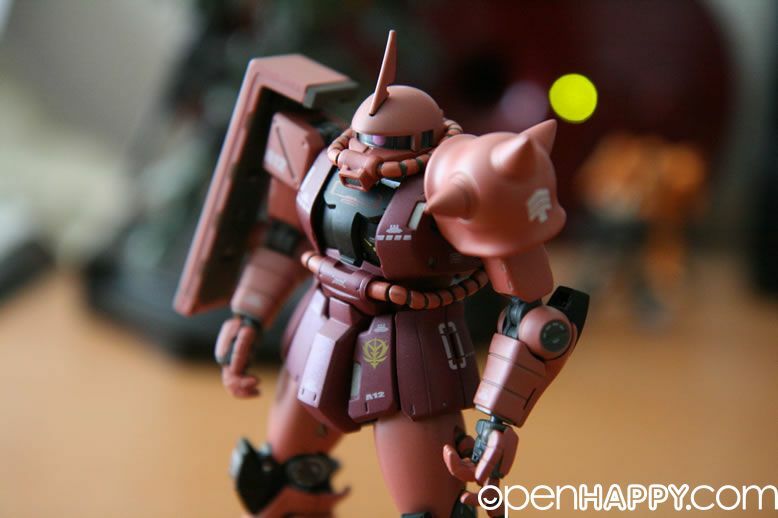 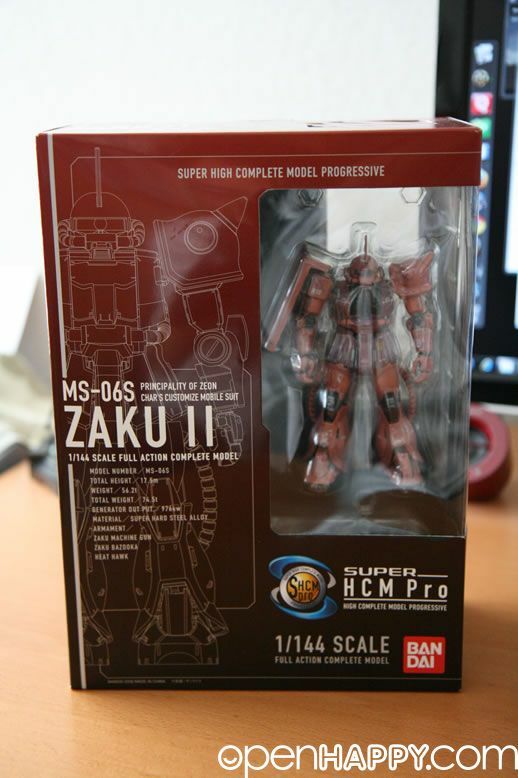 It is a super HCM pro char zaku. 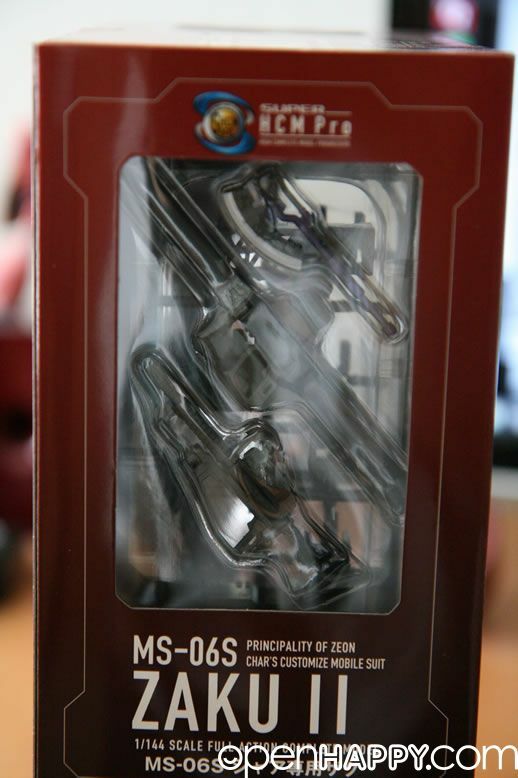 Picked it up 50% off around 50 USD shipped to the door. 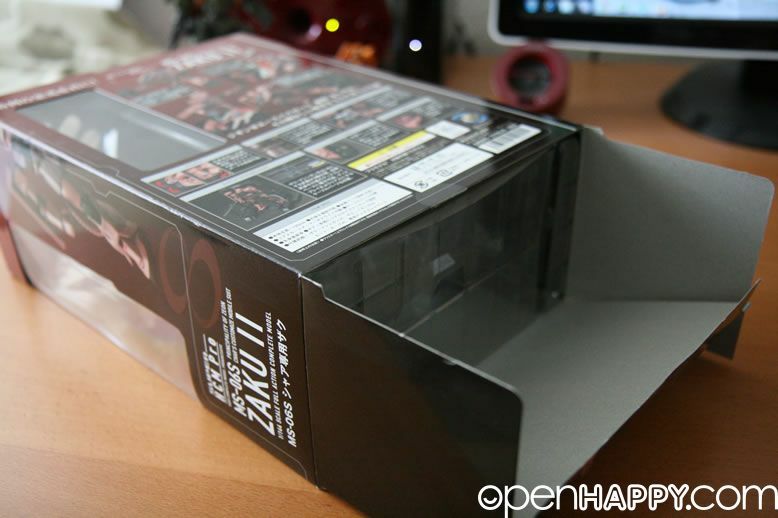 Extremely good looking box as you can see here. 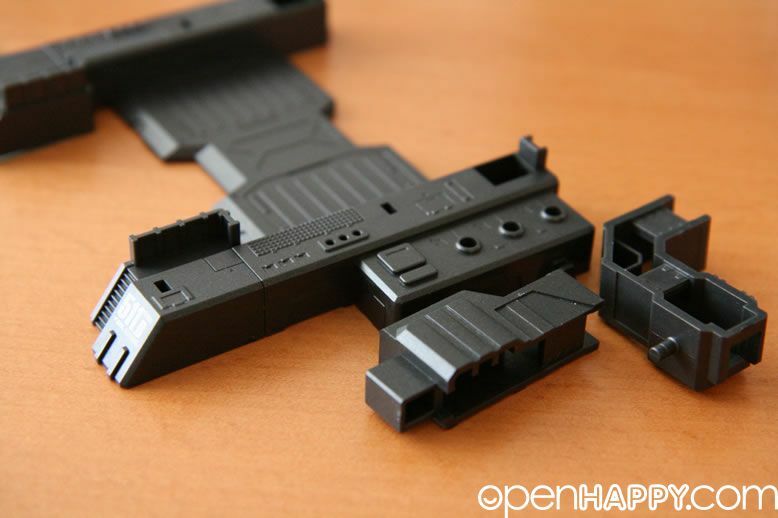 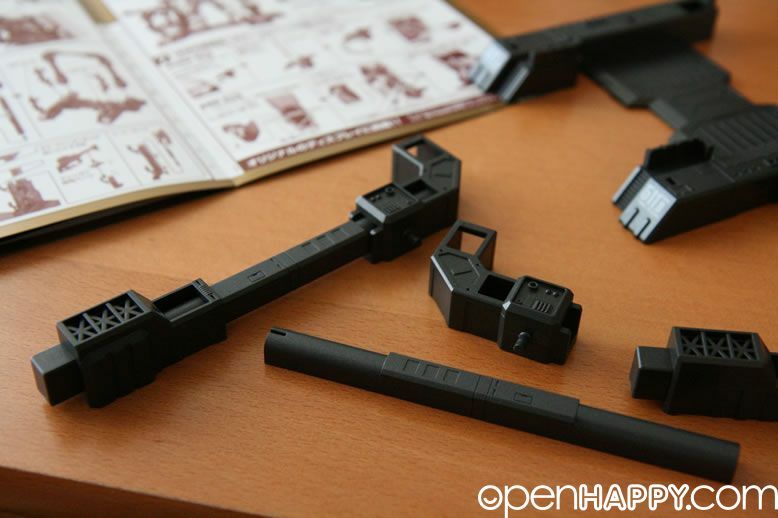 Everything is built unlike the HCM pro counter part. 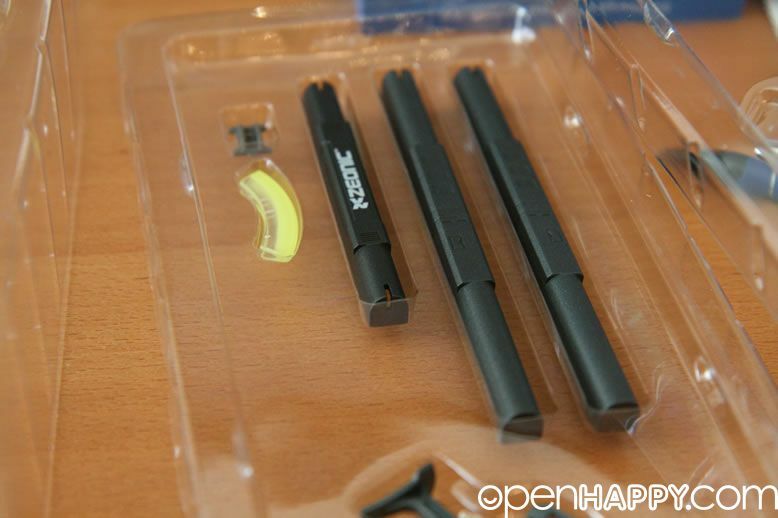 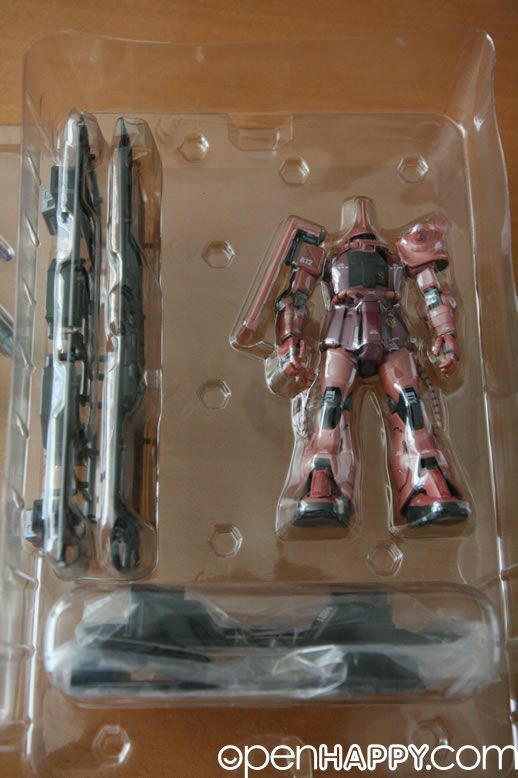 You just need to unbox and put them together. 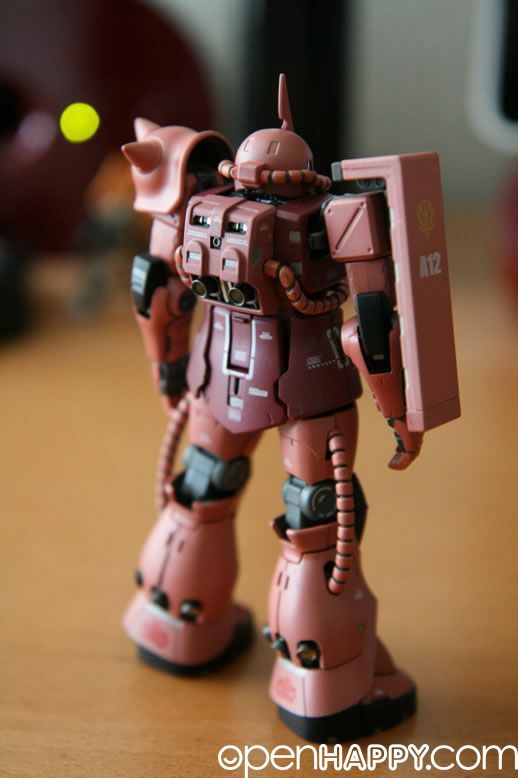 The meticallic color is right on. 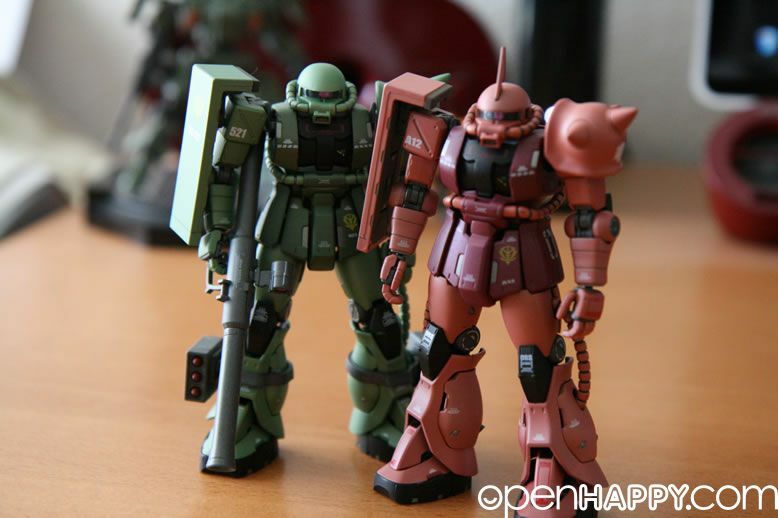 The little brother green brother is here. 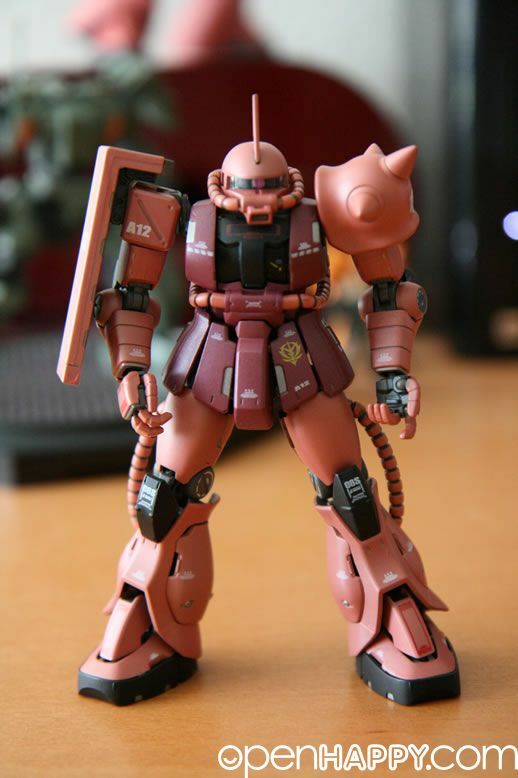 Yes, you can do all kind of pose with the guy. 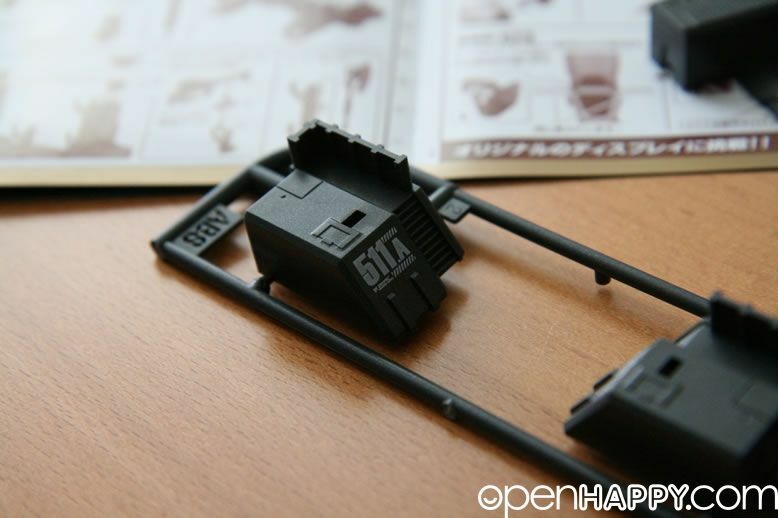 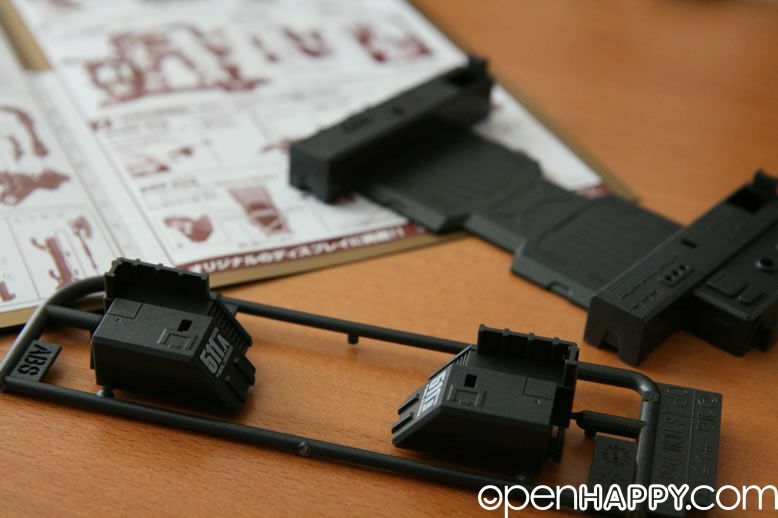 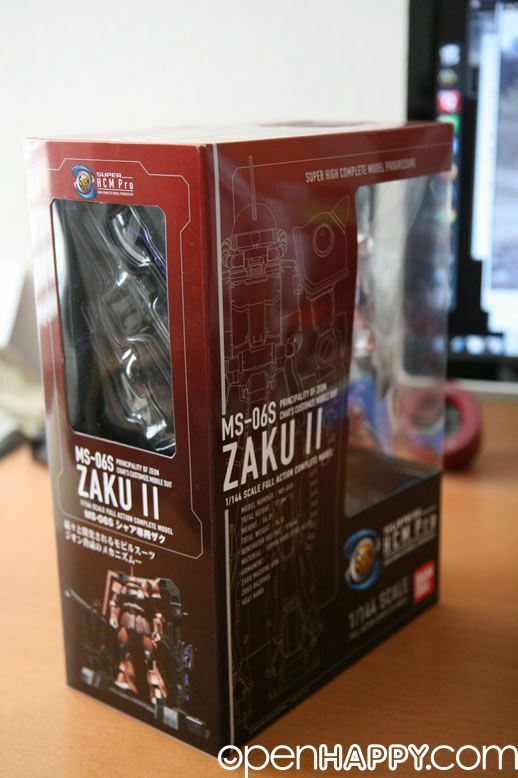 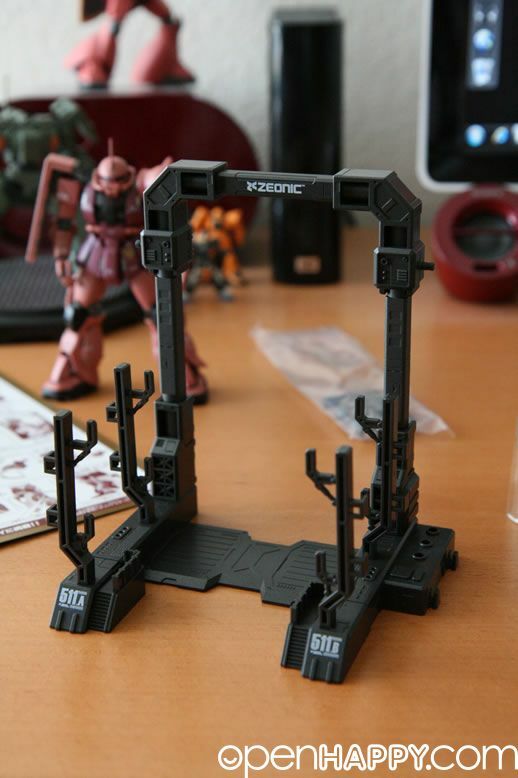 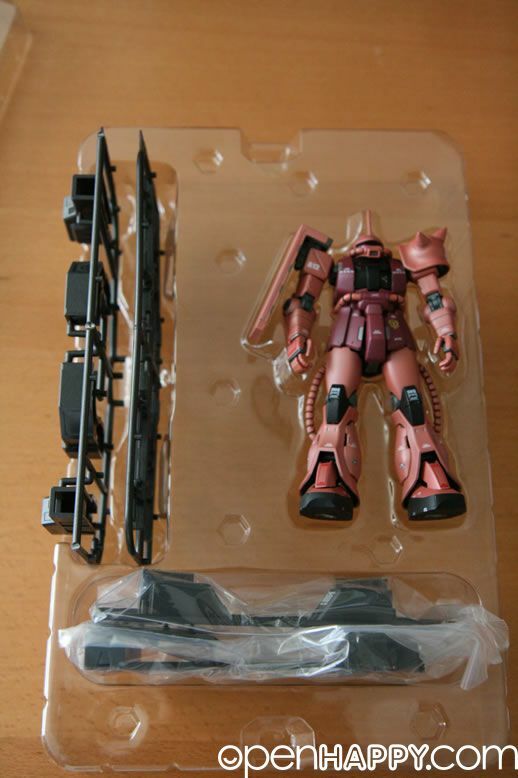 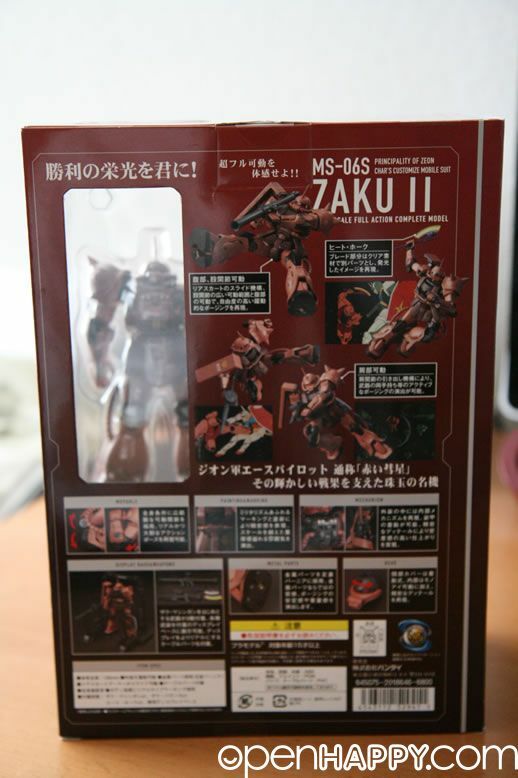 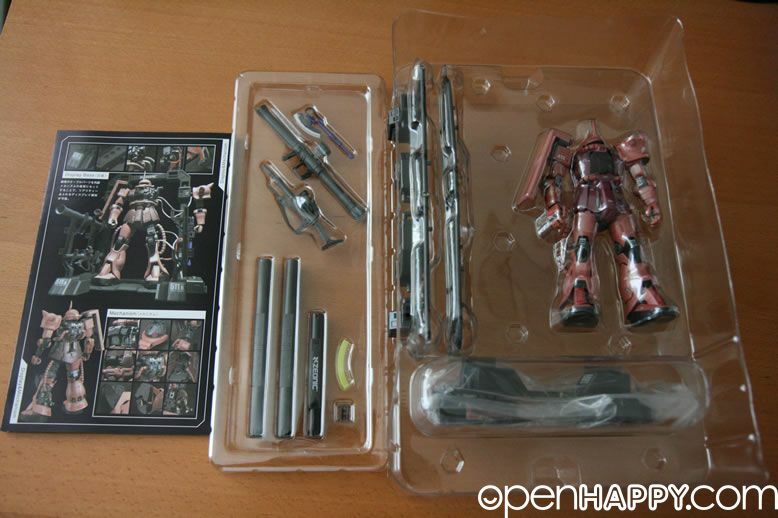 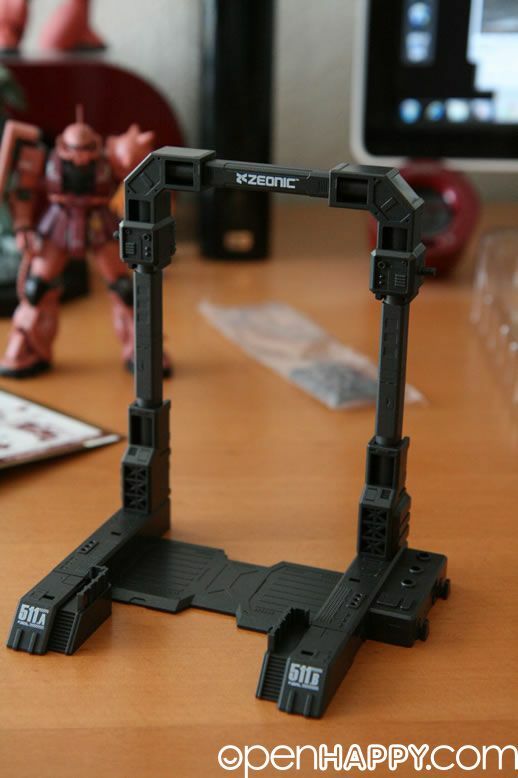 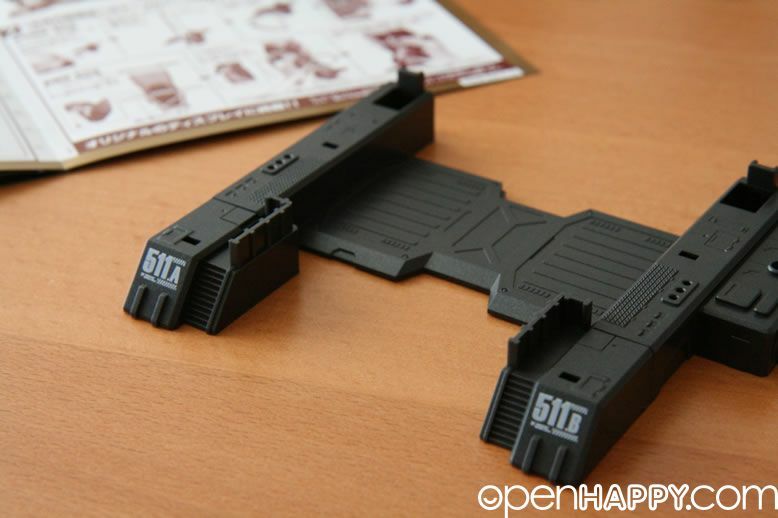 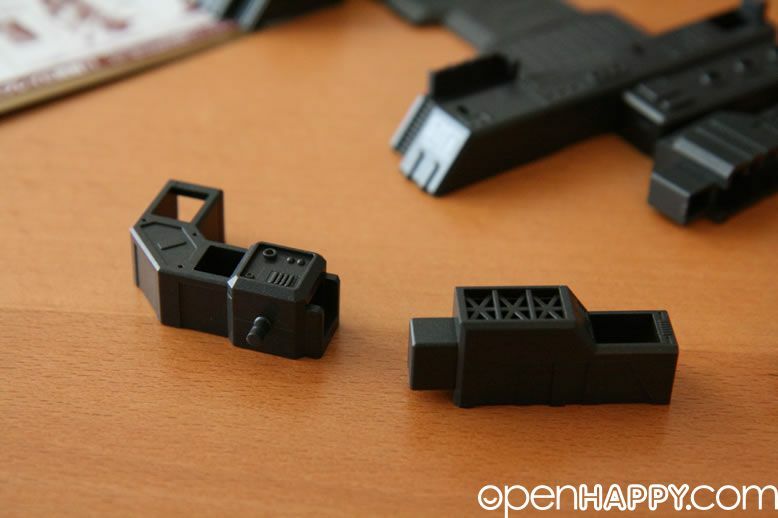 It comes with a stage which you have to put together to house the zaku and all the accessaries. 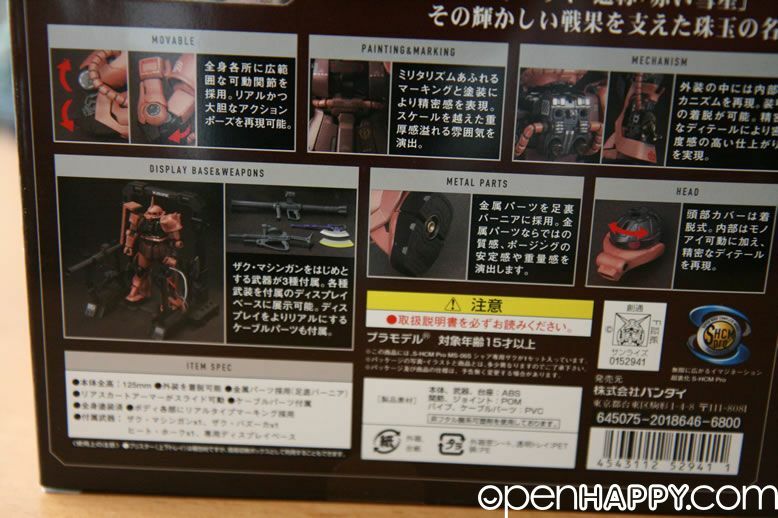 All the weapons can be housed in the stage. 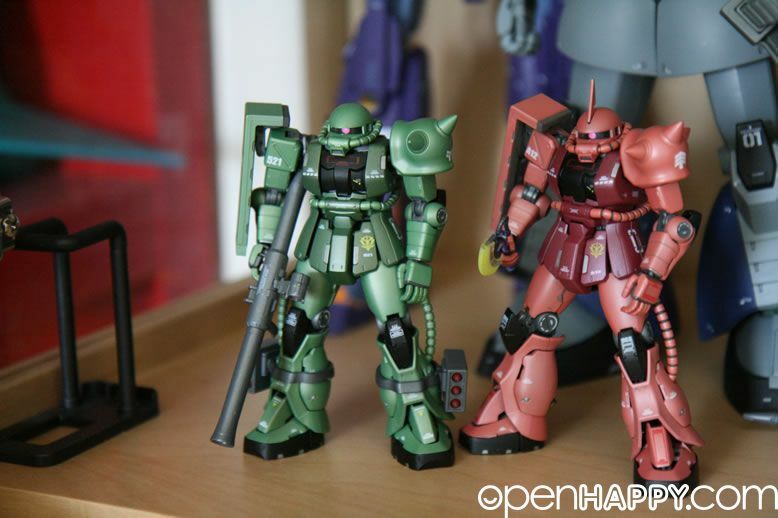 I put them in my 1/144 bad guys corner.